Canon : Creative Park : What Is PREMIUM Contents? It is special content available only to users of genuine Canon inks. In addition to works of renowned artists and content of popular characters, materials that can be combined with your favorite photos are provided. The following introduces usage most suitable for your device. You can easily download PREMIUM Contents via My Image Garden. You can also combine downloaded PREMIUM Contents with your favorite photos to create personalized items. Refer to "My Image Garden Guide" in the Online Manual for details. By using Easy-PhotoPrint+, you can list various types of content including PREMIUM Contents, and continue on to enter stamps and text or make other edits on the web. Refer to "Easy-PhotoPrint+ Guide" in the Online Manual for details. 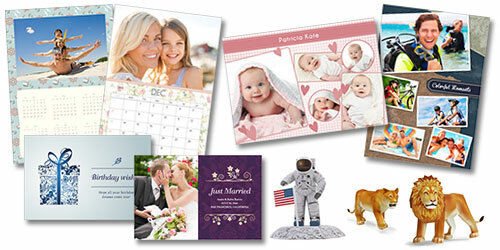 By using PIXMA/MAXIFY Cloud Link, you can easily print attractive PREMIUM Contents. Refer to "Using PIXMA/MAXIFY Cloud Link" in the Online Manual for details. By using PIXMA/MAXIFY Cloud Link on a printer, you can print various PREMIUM Contents without using a computer or tablet. Refer to the following for models supporting each application and Web service.